The OSCE Mobile Training Team delivered an interactive course on identifying foreign terrorist fighters for officers of Turkmenistan’s border and migration services in Ashgabat, the Ashgabat office of the OSCE said in a statement. The deployment of the Training Team was organized by the Border Security and Management Unit of the OSCE Transnational Threats Department. The training program included such issues as regional and national legal frameworks, the effective use of Interpol databases, risk analysis and management in the identification of potential foreign terrorist fighters at borders, in compliance with international human rights standards. 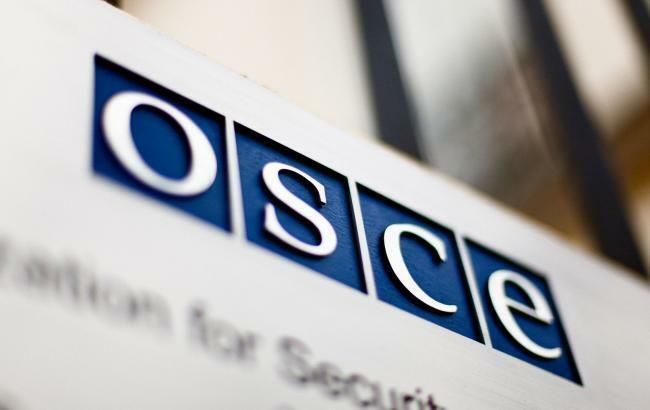 “Identification, current location and flow of returning foreign terrorist fighters remain an absolutely critical priority for international community nowadays,” said the Officer-in-Charge at the OSCE Centre in Ashgabat, Natasa Rasic. “To better detect foreign terrorist fighters we need to improve border screening, check passenger data, collect biometrics, and share information”, she said. The training participants discussed the importance of risk analysis models applied to identify potential foreign terrorist fighters at the borders, as well as trends and current cases. The practical exercises on the detection of forged documents were conducted as well. The training sessions were conducted by members of the OSCE Mobile Training Team from the former Yugoslav Republic of Macedonia, Georgia, Romania and Ukraine as well as experts from INTERPOL, the United States of America and the OSCE. The OSCE Mobile Training Team was established by the Border Security and Management Unit of the OSCE Transnational Threats Department in 2016. It is composed of seventeen selected border and counter-terrorism experts from OSCE participating States and Partners for Co-operation.